How To Save Big Money on Prescription Drugs. If I were King of Medicare. I am still learning how best to extract useful information from the public-use Medicare Part-D Drug Utilization and Cost files. I view these as experiments of nature worth mining for what they can tell us about the clinical and business aspects of healthcare. The last few articles I have written focused on the utilization and cost of Insulin, highlighting the seemingly unjustified increases in this life-saving drug for diabetics. In this tweak, I learn how to combine data from drugs in the same therapeutic category including all the brand and generic versions of individual drugs within categories. 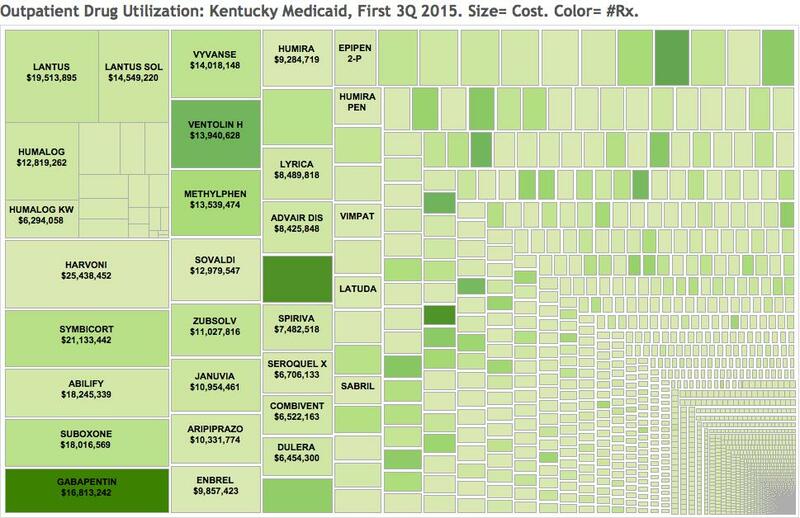 I am still wrestling with technical issues related to presenting multiple groups in a single TreeMap visualization, but as an example, I will show that in 2015 three groups of drugs– insulin, opioids, and drugs used to treat Hepatitis-C– cost the Medicare program 17.6% of the total cost of all Part-D drugs but comprised only 7.2% of all prescriptions. These drugs were expensive for different reasons that I will illustrate. Author P HasselbacherPosted on March 21, 2018 March 22, 2018 Categories Drugs1 Comment on How To Save Big Money on Prescription Drugs. Updated Look at the Rapidly Rising Cost of Insulin in Medicare Part-D Program. The cost of Insulin to the Medicare program is frankly staggering. In brief summary, insulin is not only one of the most important drugs for beneficiaries, but also, in aggregate, one of the most expensive set of drugs used by Medicare patients. Author P HasselbacherPosted on February 22, 2018 March 6, 2018 Categories Drugs2 Comments on Updated Look at the Rapidly Rising Cost of Insulin in Medicare Part-D Program. Newest Proposed Treatment for Duchenne Muscular Dystrophy Abruptly Changes Hands. Less than one month after our exploration of the recent colossal price markup of a simple drug used by a vulnerable and desperate group of children and their families, a dramatic turn of events occurred which may make things better or worse. In February, the pharmaceutical company Marathon announced its marketing plans for Emflaza, its brand name for deflazacort, a simple corticosteroid widely available in other countries but not in the United States. Emflaza had recently been approved by the FDA for the treatment of symptoms of Duchenne muscular dystrophy (Duchenne MD) in the United States. Duchenne MD is a usually fatal genetic muscular disorder of young boys for which no curative therapy is currently available, but for which corticosteroids such as deflazacort and prednisone slow the progression of weakness. Deflazacort– the most commonly prescribed all-purpose steroid in some countries– has been used in Canada and elsewhere for the treatment of Duchenne MD for some time. The wrinkle in Marathon’s release was that it declared an annual charge of $89,000 per child for a drug sold in many other countries for a price a measured in pennies instead of dollars. I have already expressed my puzzlement that the FDA gave its approval to Marathon based on clinical data collected many years old by another drug company that for undisclosed reasons walked away from FDA approval. I am still looking for reliable studies that confirm that deflazacort is superior to, or safer than prednisone to treat Duchenne MD. [Prednisone is the most prescribed corticosteroid in the United States. To say that it is inexpensive would be an exaggeration!] Perhaps a clinician without ties to the pharmaceutical industry will provide us with evidence-based data that Emflaza is an essential or even a better drug for Duchenne MD, or worth the monumental cost for any incremental benefit. Author P HasselbacherPosted on March 20, 2017 March 28, 2017 Categories Drugs2 Comments on Newest Proposed Treatment for Duchenne Muscular Dystrophy Abruptly Changes Hands. Is Emflaza the Latest Drug Pricing Rip-off or Not? New Money from Old Drugs. Are children with muscular dystrophy being served by the free market or taken advantage of? I suspect that it is just because people are paying attention, but reports of unexplainably excessive pricing of both new and old drugs keep coming too fast to keep up with. I recently published a list of 447 drugs whose prices doubled or more between 2011 to 2015. Even that list was incomplete! This week’s prize winner is Emflaza, a drug that was recently approved by the Food and Drug Administration (FDA) to treat Duchenne Muscular Dystrophy (DMD). Author P HasselbacherPosted on February 17, 2017 February 23, 2017 Categories Drugs1 Comment on Is Emflaza the Latest Drug Pricing Rip-off or Not? Exorbitant Increases in Prescription Drug Prices Neither New Nor Uncommon. At least 447 Medicare outpatient drugs had prices more than double between 2011 and 2015 and 36 increased their prices ten-fold! In every week of recent months our attention is being called to one or another exorbitant or unexplainable increase in the price of yet another prescription drug. We have long recognized continuously rising prices for brand-name drugs, but the new business model of the pharmaceutical industry includes taking control of the distribution of traditionally generic drugs and jacking prices up even faster and higher than their brand-name cousins– if that is even possible. It appears that the more medically-necessary or lifesaving the drug is, the higher the price increases are. This is what happens in a free market environment when an industry has its consumers over a barrel and is free to have its way with them. Author P HasselbacherPosted on February 4, 2017 February 22, 2018 Categories Drugs2 Comments on Exorbitant Increases in Prescription Drug Prices Neither New Nor Uncommon. 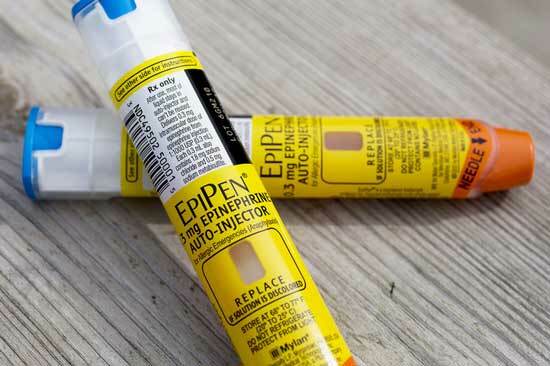 Mylan Drug Company Drops Price of EpiPen – Sort Of! Author P HasselbacherPosted on August 29, 2016 Categories Drugs1 Comment on Mylan Drug Company Drops Price of EpiPen – Sort Of! Another Drug Company Rips Off the Public: Mylan’s EpiPen. Why do they do it? Because they can– and because we let them! Author P HasselbacherPosted on August 26, 2016 August 28, 2016 Categories Drugs1 Comment on Another Drug Company Rips Off the Public: Mylan’s EpiPen. Medicare Updates Its Prescription Drug Utilization Database. An improved goldmine of information not otherwise available to the public and a flood of opioids. On August 18, CMS released the second iteration of its cost-and-utilization database of prescription drugs written for patients covered by Medicare Part-D Medicare which includes beneficiaries in Part-C Managed Care and stand-alone Medicare Part-D Prescription Drug Plans. Compared to the updates of Medicare’s other 2013 public-use healthcare utilization files, this release seemed delayed and I feared the program’s continuing implementation had been quashed by the pharmaceutical industry lobby and its friends as was a 2013 initiative to provide the public with average retail drug prices. The wait was worth it. Author P HasselbacherPosted on August 21, 2016 August 22, 2016 Categories Drugs, Opioid Abuse3 Comments on Medicare Updates Its Prescription Drug Utilization Database.